The Antique Metalware Society’s 25th Anniversary Exhibition is now online! Over 100 objects are exhibited; all come from members’ collections or reflect their research. The exhibition is also a wider celebration of the base metals and all the ingenuity and artistry with which they’ve been employed. 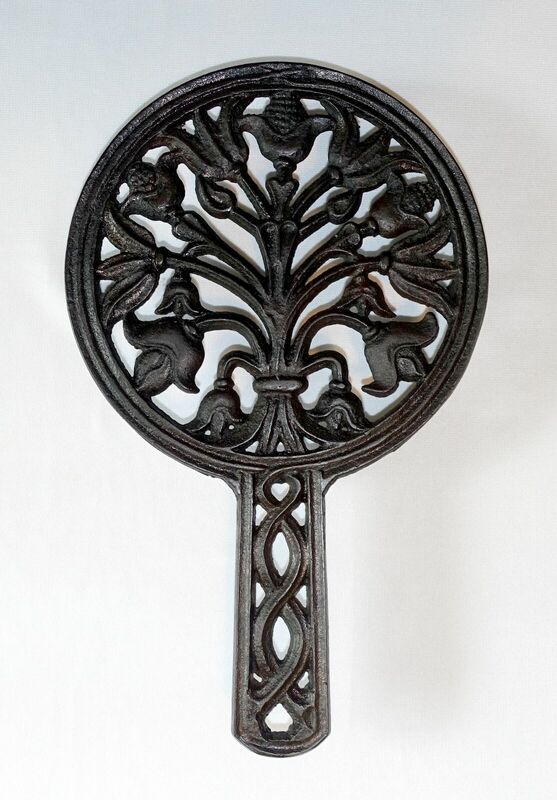 I’m pleased to say my 1843 signed William Rimby cast iron trivet was included. The aim of the Antique Metalware Society is to increase the knowledge and promote the appreciation of base metal objects of all kinds and historical periods. Society members include leading experts in their fields who have published authoritative books on such topics as bronze cooking pots, rush lights, paktong, firebacks, candlesticks and marks on brassware. Meetings are held twice a year, Spring and Autumn, in England. I’ve never had the opportunity to attend a meeting but hope to one day. Personally, I’m fascinated by early metal implements, especially those related to home and hearth. There are some amazing antiques in this exposition! Take the time to click on each image and enjoy. Update for 2017: The AMS website has been updated. The 25th Anniversary Exhibition has been expanded into an ever-growing Gallery of images. Click on the Antique Metalware Society link above, then type trivets into the Gallery Search box to view all the trivets on display. You’ll find my Rimby trivet featured there. 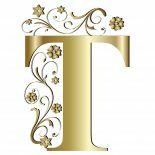 This entry was posted on July 7, 2016 by Lynn Rosack in Antique Trivets & Stands, Great Britain, Organizations and tagged Antique Metalware Society, William B. Rimby.